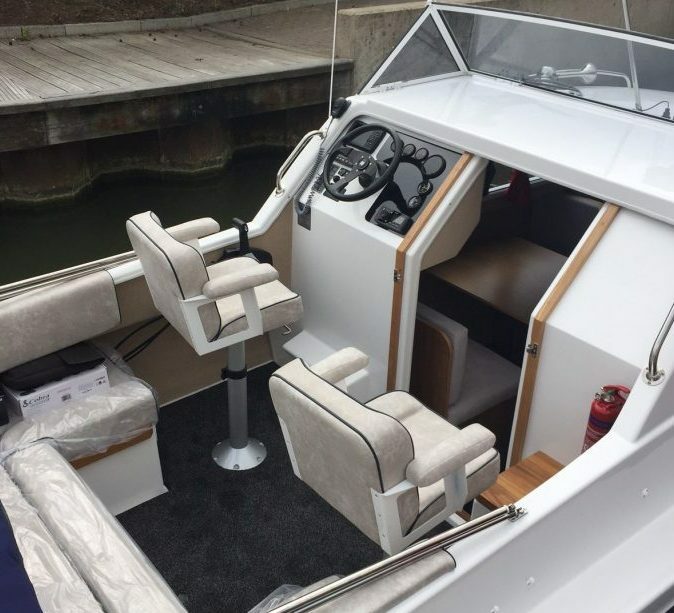 Welcome to the Shetland 4 plus 2 Soft Top, a boat designed and built in Britain. 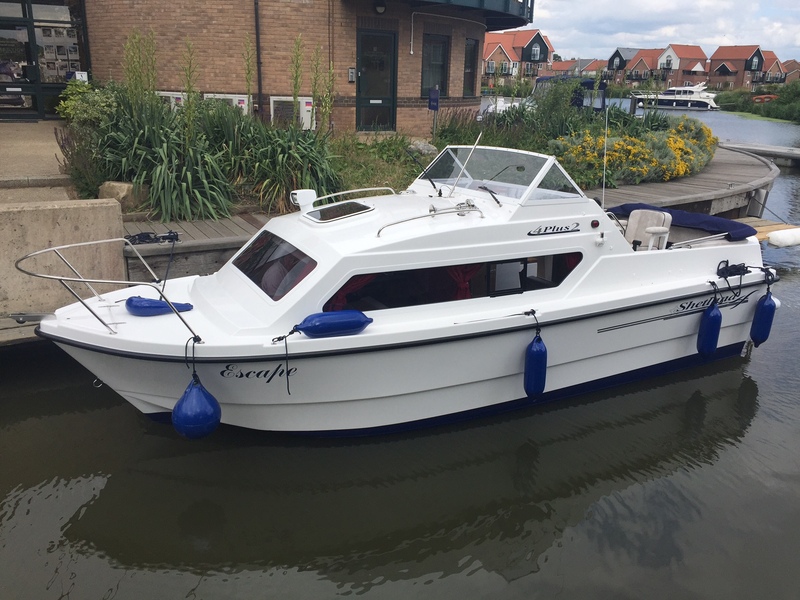 The Shetland 4 plus 2 is a compact cruiser but with comfort and accommodation in mind. The 4 plus 2 has been in production for over 20 years, and over 500 have been built. 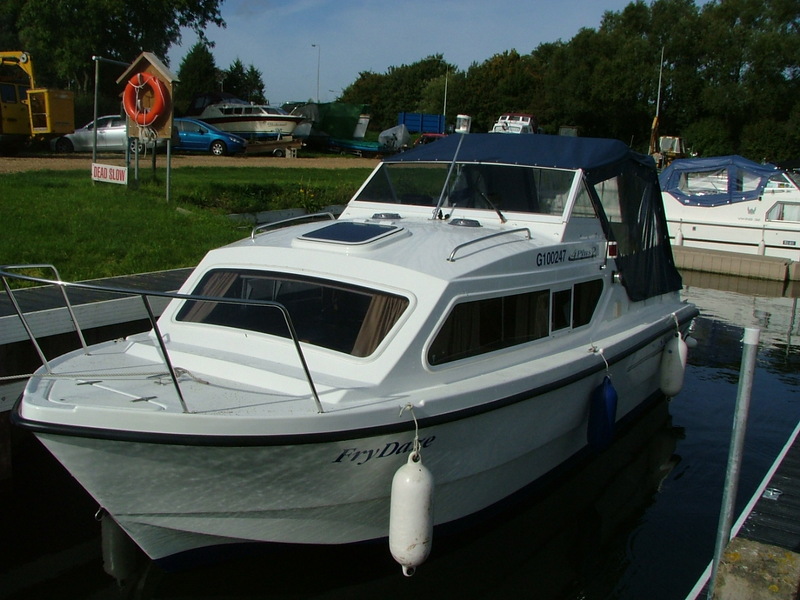 This boat is available as soft top as shown here or there is also a hard top version; with a maximum engine rating of 90hp. Where possible, we offer the YOU the opportunity to personalise your craft from a wide choice of soft furnishing, even the layout can potentially be bespoke to your requirements.